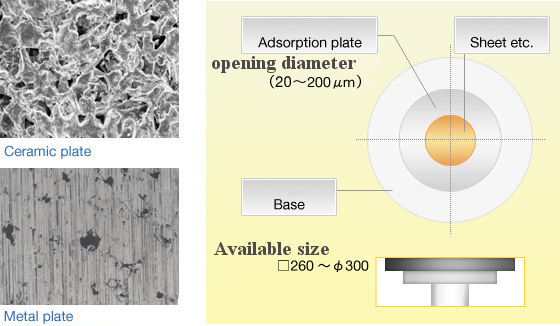 RPC Adsorption Plate | Product Information | READ Co.,Ltd. Rigid,hard,and strong in a shock. Very fine pore avoids sheet distortion.